What emotions would accompany this new life? — Joy? Peace? Fulfillment? What divine aspects would accompany this new life? — Love? Harmony? Grace? Freedom? What do you see, what do you feel, what are the details in this vision of your new life? How are you connected to it? Are you going within, each day, to explore it and then asking your Higher Self and guides for what action to take to make it more real? Are you listening for insights? And Inspiration? Are you paying attention to any opportunity or new idea that beckons to be explored? Are you constantly bringing yourself back to the vision of what you would like, and etching more details into it? Take off the shackles of what should be, or how it should be, or when it should be, and allow the forming of your creation to flow in freedom and synchronicity, fueled by your deep desires and intentions. Be bold, and bare your heart wide open to accept what you desire. Accept and allow the energy of what you want, and aim to match that energy in your heart. What do you have to step out of or let go of to clear the way? Ask yourself: If you were in the energy now of what you want, what would be taking place and what would it require you to own about yourself? To discard? To accept and forgive about yourself? Be creative and limitless with the sketch you have in your heart of your desires. Let it take you deeper into it each day in your meditations and visualizations, so you begin to feel the energy of the intention present and growing stronger when you go about your day, it never leaving your thoughts and heart. Be loving with yourself. Play with the ideas as if you are building a castle or a village out of building blocks like a child would. What would be there? Allow yourself to laugh with Joy as you survey your work on this vision. And keep it within your heart throughout the day, always keeping it with you. And you are limitless now — you are a magnificent creature of creation. You are happiness sublime because now you know that nothing is impossible and nothing is out of bounds in your New World of Creation. Thank you to my Higher Self, Lady Nada, Yeshua and Lakshmi. 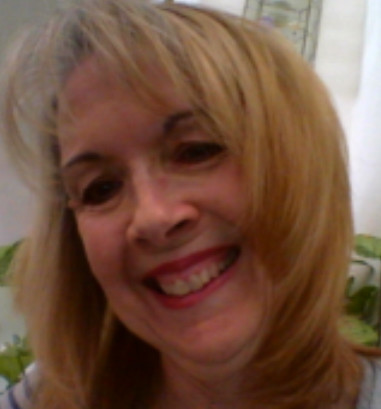 For Healing and Reading/Channeling Services and Specials, please see my website at www.franhealing.com. New Services are now being offered at http://www.franhealing.com/services.html More coming soon! This entry was posted in channelings and tagged Abundance and Manifestion, Alignment, Creation, Divine Aspects, dreams and desires, Higher Self, highest good of all, intention, Lady Nada, Lakshmi, limitless, Soul Purpose, Teachings, Visualization, Yeshua. Bookmark the permalink.